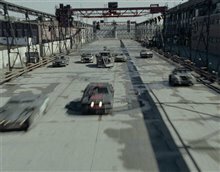 Terminal Island: The very near future. 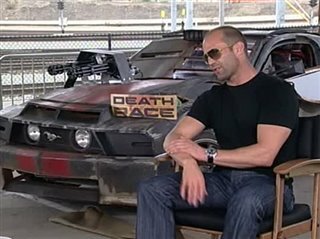 The world's hunger for extreme sports and reality competitions has grown into reality TV bloodlust. Now, the most extreme racing competition has emerged and its contestants are murderous prisoners. 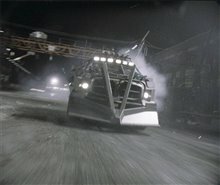 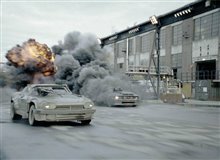 Tricked-out cars, caged thugs and smoking-hot navigators combine to create a juggernaut series with bigger ratings than the Super Bowl. 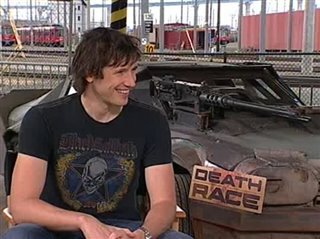 The rules of the Death Race are simple: Win five events, and you're set free. 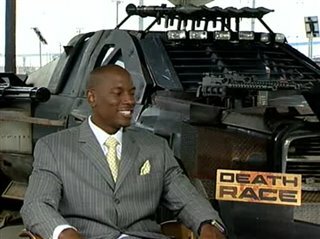 Lose and you're road kill splashed across the Internet. 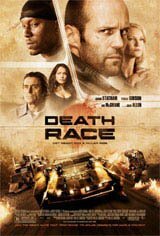 International action star Jason Statham leads the action-thriller's cast as three-time speedway champion Jensen Ames, an ex-con framed for a gruesome murder. 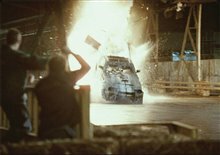 Forced to don the mask of the mythical driver Frankenstein, a Death Race crowd favorite who seems impossible to kill, Ames is given an easy choice by Terminal Island's ruthless Warden Hennessey (Joan Allen): Suit up and drive or never see his little girl again. 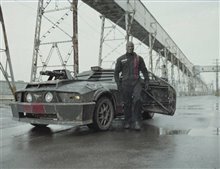 His face hidden by a hideous mask, one convict will enter an insane three-day challenge in order to gain freedom. 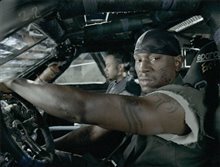 But to claim the prize, Ames must survive a gauntlet of the most vicious criminals -- including nemesis Machine Gun Joe (Tyrese Gibson) -- in the country's toughest prison. 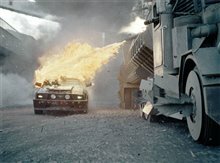 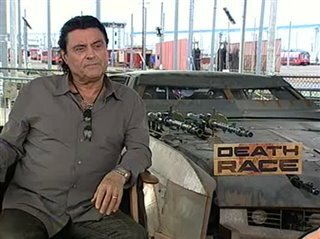 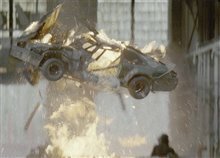 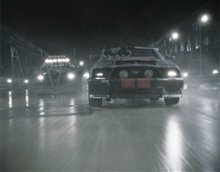 Trained by his coach (Ian McShane) to drive a monster Mustang V8 Fastback outfitted with 2 mounted mini-guns, flamethrowers and napalm, an innocent man will destroy everything in his path to win the most twisted spectator sport on Earth.